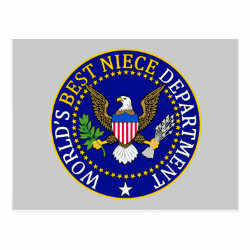 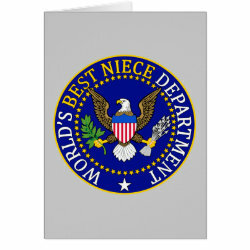 This funny design features an "official" seal of the World's Best Niece Department. 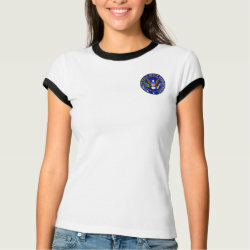 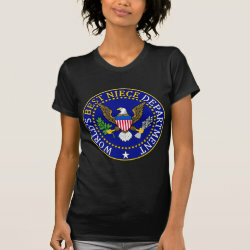 It's a funny design that looks like an official US government seal -- it comes complete with a regal Bald Eagle! 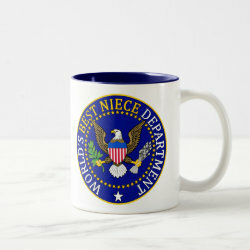 Great gifts here for your favorite niece!